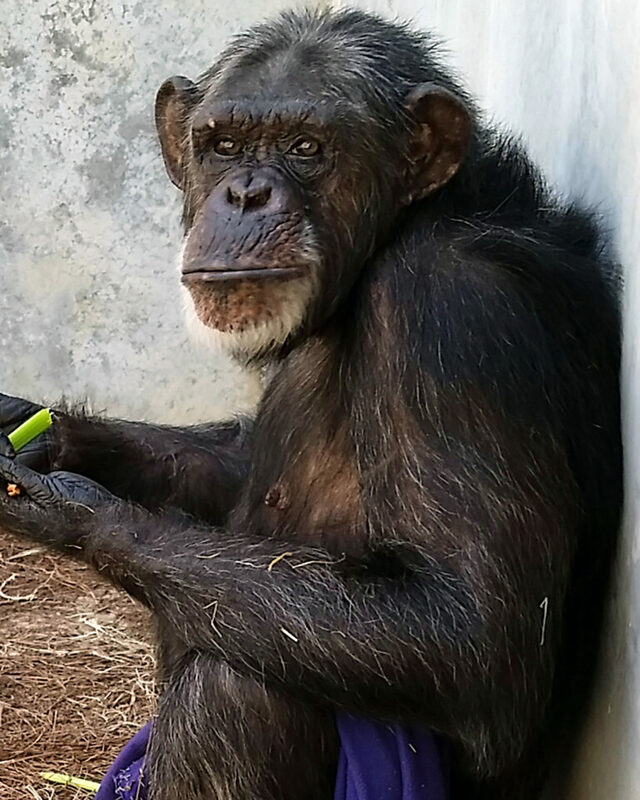 Opal came to Chimp Haven with her sister Angel. She is the younger of the two, but still quite strong and defensive. 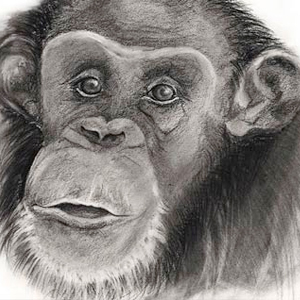 The 35 year old is very friendly with people, but does instigate disputes with other chimps. She’s known to have a dramatic and dominant personality. Opal was born in captivity in 1980 and has been held at at least three labs in her life, surviving over 200 injections of anesthesia and 19 liver biopsies. Her records show a history of Opal plucking out her hair and eating it, behavior likely associated with stress and anxiety due to her experience as a lab subject. Opal is a hepatitis B carrier and was held at the Texas Biomedical Research Institute until 2016.